Form edit rules allow you to customize what fields appear on account creation forms throughout the system. Some forms include the webinar registration forms, the user profile seen by users, and the user profile seen by administrators. All standard profile fields will default to displaying on all forms, with the exception of the webinar form. Similarly, with custom profile fields (create by administrators) where “display on sign up page” is set to Yes, the field will appear on ALL user forms in the system. The Form Edit Rules feature makes it possible to tailor specific sign-up forms throughout the LMS. 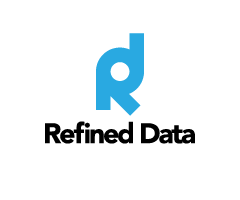 It also allows for the Workbook report for webinar / sponsored webinar registrations to display specific user data collected in the registration forms. Click here to learn more about using the webinar registration form. To modify form fields, go to Site administration>>> Plugins>>> Local Plugins>>> Form Edit Rules. **the exception to this rule is when removing fields from the workbook (local_course_users) simply input the profile field shortname without “profile_field_” prefix. webinar_form for the webinar landing page. Click here to learn more about the webinar form fields. Theme – the rule will appear on the entire site unless a sub-domain, as specified by its theme, is indicated. This is primarily used for clients using the webinar plug in. Course – selects a particular webinar course for which the field is/is not requested to appear on the webinar registration form, Workbook or Download Users file. When selecting a default value for the field do not use the required option as the default is recognized as being completed so the user will not need to enter a different value. 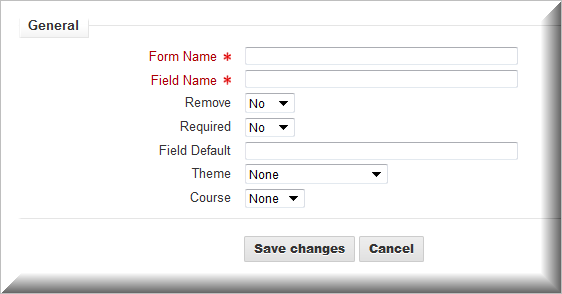 Moodle adds default categories which appear on the form, even if there is no information to reveal. To remove these categories, identify the category ID by highlighting the category, right clicking on your mouse and selecting inspect element. Navigate to Site administration>>> Plugins>>> Local plugins>>> Form edit rules and create a new rule with the category ID. Set Remove to Yes, and the default category will not appear on the form.